A new way of betting on sports matches is growing in popularity in SA. 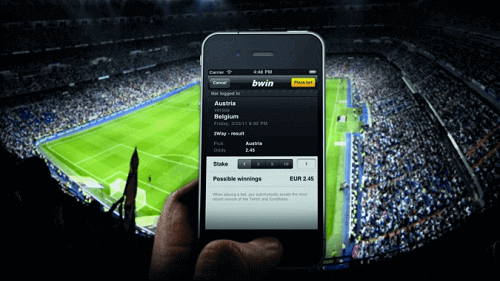 Live betting, or in play betting, is the new and exciting way of placing wagers on your favourite sports. We’ve put together a guide on live betting specifically for South Africans as a lot of sites on live betting are for US bettors. We’ll be looking at what this latest form of betting is, which sports are available for live betting at sportsbooks, some top sites for South Africans, odds, and some tips to help you. Read on for more on this exciting betting method. Well, live betting or in play betting is as the name describes: bettors place wagers on a match or game while it’s still being played. Bets are taken throughout the game and are about more than who will win the game. You place bets with each twist and turn of the match, betting on things like who will score the first goal and who’ll make the first foul for example. South African sportsbooks that take in play betting must have the technology to handle the constant updates to keep up with the game. Below are a few SA sites that have live betting. There’s are some differences between placing games before the match starts and doing it while the action unfolds. 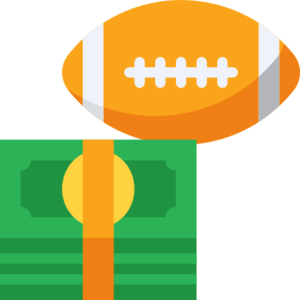 Let’s look at some of the primary differences between pre-game and live betting. As a bettor you have more options as you can bet on each and every play. However, it’s important that you don’t get swept up in the excitement and make too many bets. There’s a fair amount of chance with each bet as you have to bet on the current situation and not overall statistics. Most bets in live betting have high odds (they have a plus in front of them). This means that bookies are expecting the chances of an outcome happening less than 50% of the time. Sportsbooks display the odds in a live betting event the same way a pre-match bets. There are three main formats used. This format shows you who the favourites and the underdogs are. You’ll find that for the ones touted as the underdogs, their odds will be displayed with a plus sign. While those who are the favourites will have a minus sign in front of their odds. For example, in a game between Barcelona FC and Atletico Madrid, the odds for Barcelona will be -145 while Atletico will be+450. This means you’ll have to bet R145 on Barcelona to win R100. However, you’ll have to only bet R100 to win R450 if Atletico Madrid wins. This format shows the odds in decimals and is the most recognisable format. Made popular in Europe and Australia, it’s an easy-to-read way of showing odds. For example, the odds of 3.45 means that you’ll get 3.45 times your bet should you win – R100 x 3.45 = R345. This format was developed by the British. It conveys the odds in a fraction format. So, in this example, let’s say the odds are 6/4 that Barcelona FC gets a free kick in the 30th minute. This means that there’s a 40% chance your prediction is right. As with any form of gambling, there aren’t any full-proof tips, tricks, strategies, or systems. However, there are some live in play betting tips that you can keep in mind to help increase your chances. Get knowledgeable about the sport and use it during the match. Trust your instincts to make the right bet when it counts. Don’t go hard at the beginning. Manage your bankroll well. Remember live betting is a marathon. While you’re still new to this type of betting, stick to the favourites. While you may not get rich, you’re less likely to lose it all. Alternatively, keep the bets small if you’re betting on the underdog. For more guides on sports betting, visit our page on online sports betting.